Oil is still leaking from the broken well in the Gulf, and this adorable little boat just might be what the cleanup crews need to get rid of oil covered grass and plants in the marshy wetlands of the Gulf Coast. Its called the Weedoo and it was originally created as an all electric alternative to emissions-heavy gas-powered airboats. It turns out the versatility of this little guy could be a big help in the biggest environmental disaster of our country’s history. 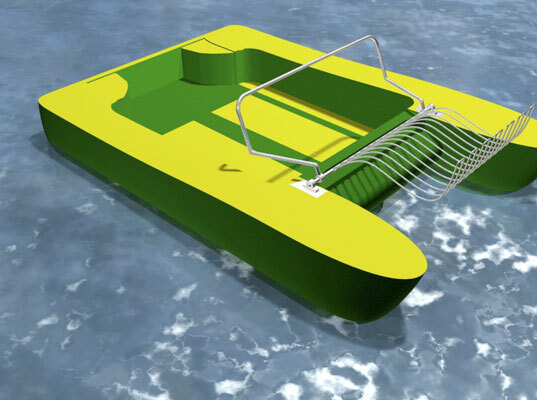 The Weedoo is fully customizable and one of the add-on options is this front end rake — shown above — that could be ideal for scooping up debris in the Gulf. Just lower the rake, glide through oil strewn wetlands and remove the damaged plant life. The Weedoo can carry several times its own weight and zips along the water with ease. The fact that it has no emissions is great, because at this point (with over 150 million gallons of oil already dumped) the Gulf of Mexico certainly doesn’t need any extra toxins. With oil currently being removed from the gulf waters by Kevin Costner’s nifty invention, and a containment dome grabbing most of the oil spilling from the broken well, this Weedoo could provide cleanup crews on shore a much needed way to quickly and efficiently help de-oil the grassy wetlands that make up much of the Gulf Coast shoreline. Weedoos are made in the US by Greenboat Scientific and are constructed from fiberglass and foam making them easy to transport and quite durable. Seems like a great green addition to the massive cleanup effort already taking place. 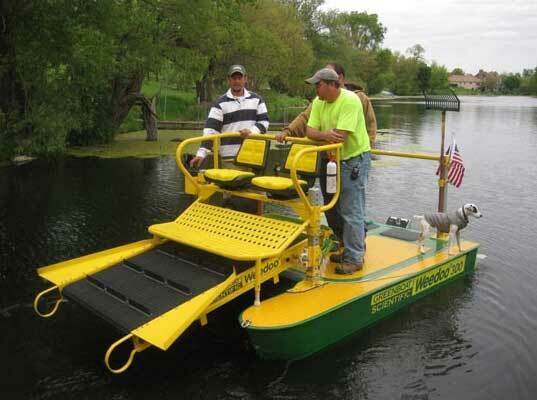 Weedoo electric airboat could clean up gulf wetlands. Oil is still leaking from the broken well in the Gulf, and this adorable little boat just might be what the cleanup crews need to get rid of oil covered grass and plants in the marshy wetlands of the Gulf Coast. Its called the Weedoo and it was originally created as an all electric alternative to emissions-heavy gas-powered airboats. It turns out the versatility of this little guy could be a big help in the biggest environmental disaster of our country's history.